I’ve been asked a few questions lately about setting up student blogs so I thought it would be timely to update my post from 2010 about the process I use. 2012 will be the fifth year that I have been blogging with my class and the fourth year that I have had some student blogs. I have learnt a lot along the way and, of course, I am still learning all the time. My involvement in educational blogging began with setting up my own professional blog, then starting a class blog and finally moving into student blogs. While having a professional blog is optional for teachers who want to blog with their students, I do recommend having a class blog before moving on to student blogs. A class blog is the ideal avenue for the students to learn about the blogging process. Early in the year we always do a lot of work on quality commenting, creative commons and copyright, internet safety, netiquette, typing, writing styles and more. This diagram, which I have shared a number of times, outlines the general process I implement in my class. At the start of the year, we let the students know that they may have the opportunity to earn their own blog from about Term Two onwards. The idea of earning a blog is one of the many blogging tips I got from my Californian friend, Linda Yollis. Write quality comments on our class blog on a regular basis. Reply to comments on our class blog regularly. Our class blog is a team effort. Show an interest in others’ blogs (eg. leave some comments on our blogging buddies’ blogs). Demonstrate an understanding of cyber safety and netiquette when writing blog comments and using the internet. Show a general enthusiasm for learning about blogging. Demonstrate support from family. Students will not be chosen for a blog without family support. This isn’t a clear-cut checklist, but more of a guide as to what we’re looking for. Why haven’t all of my students had blogs? Up until this year, I have been working with seven and eight year old students. Blogging is a big responsibility for children of this age (or individuals of any age for that matter!). The students need to be ready and committed. The support of parents is also essential. I have seen far too many blogs that have been set up enthusiastically but not maintained regularly or simply abandoned after a very short time. While my students are not locked in to blogging forever if they find it is not for them, I want them to be committed to giving it a good shot. I also need to be able to assist and monitor all of my student bloggers. 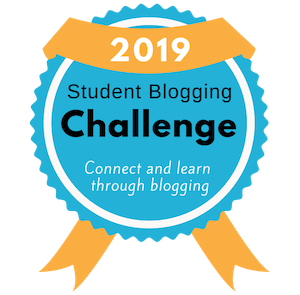 I know I could not do this effectively if all of my students had blogs, however, in 2012 I want to look into ways to have more students blogging. I use the platform Global2 for my class blog. This is an Edublogs Campus Subscription offered by DEECD (Victorian Education Department). To set up the student blogs, in the dashboard of my class blog I went to Users and then Blog and User Creator. In the set up process I added myself as an administrator which is crucial because I need to be able to access the dashboard of my students’ blogs in case any editing is ever needed. The students have their own usernames and passwords for their blogs. Students require an email address to set up their blog which I generate through our school website. 1. I asked the students who I thought had earnt their blog if they would like a blog (probably a silly question, it is always a yes). 3. Once permission was obtained, I set up a school email address for each student and set up their blog. 4. I sat down with the students and discussed their ideas for their blog. We talked about what they think they will post about and how often they will post. We also revised cyber safety tips and discussed what is and is not appropriate to post online. There are always a number of authentic opportunities to discuss internet safety issues as the students go through the blogging process. 5. The students stayed in for a couple of lunch times to get started on their blogs. I began by showing them things like how to change their password, how to change their theme, how to rename their blog, how to use basic widgets, how to add links, how to write a post, how to write a page and how to add hyperlinks in posts/pages. A lot of the time, the children figure things out for themselves and I encourage this. This is how I learnt to blog! 6. I typed and laminated a document with all the information the students needed to keep at home and school. This included their email address, blog address, usernames and passwords as well as the links to the Edublogs support site. 7. The students who start blogging first are always great mentors to the students who start blogging later in the year. Peer to peer tutoring has so many benefits! 8. After the initial set up sessions, the students just tended to ask me questions as they arose and we often had a “blogging club” one lunchtime a week. I subscribe via email or RSS to my student blogs to keep track of what they’re up to. I’m always reflecting on the way I do things and I’ve had a number of thoughts about 2012. I’m moving from Grade Two to Grade Four. As the students are two years older, I am hoping I will have a lot more students blogging. If I had more students with blogs, I could integrate writing posts into the classroom curriculum, rather than it being an extra-curricula activity. If I do have more students with blogs, I wonder how I will find the time to set up blogs, provide assistance, comment and monitor the blogs. In 2011 I had 9 out of 22 students blogging and it was a lot of work. In 2012 I will start the year with 27 students. Perhaps I will rely more on peer-to-peer mentoring and have parents become the primary administrator – as Linda Yollis does. My “blogging club” in 2011 was an ad-hoc arrangement which worked really well. I am hoping it can become more of a timetabled event in 2012 where I can work with some of my current and former students. Forming connections through our class blog has been a rewarding experience. I am hoping I can encourage more student-student blogging connections in 2012. Could there be QuadBlogging for students? Could students form their own personal learning networks (PLNs)? Blogging has an incredible number of benefits for students and, if they are ready and willing, having their own blog is a great privilege and learning opportunity. I won’t deny that it is a fair bit of work for you as a teacher but like all things in life and in teaching, the more you put in, the more you get out! Linda Yollis has an excellent system for student blogs. Read about it on her Educational Blogging wiki. Check out the post Ronnie Burt wrote on The Edublogger blog recently. He links to interesting research about the benefits of student blogging. Do you have any questions about blogging with students? Do any of your students have blogs? How did you go about it? As I enter my third year of student blogging with year 5 students, here are a couple of tips to add to your fabulous resource. Student blogs must (in my opinion) be earned and be optional. Even an optional blog takes effort and hard work to maintain and I too have seen many keen starters drop by the wayside. Alternatively student blogging could be compulsory and all students could use a blog to display, reflect and show work etc. personally I think the blogs that work the best are those that are written from the heart, with students who have a passion for something. In my first year I was the administrator of all my student blogs and I nearly drowned trying to keep up with my RSS feeder. Last year once students had earned their blogs we held a parent meeting and put all of the administration rights onto them. That way I could read and respond if I wanted to and when I had the time but I did not have to. I also think educating the parents is a vital and increasingly important part of blogging with students. I’m glad to hear that you passed over all administration to parents. I feel like I could drown if I had to take on more than I currently am doing! I think this year a parent meeting will be the way to go. You’re right about blogs being best when written from the heart. When students are truly passionate about it, they keep blogging whether or not their next teacher is into it or not. One example of this is Bianca , a former student who started blogging mid 2010 and she is still going, posting every week with many fabulous connections. This was really interesting to read. Working with four-seven year olds, I don’t necessarily foresee this as a road I’ll be taking with my students at the moment, but it’s great to get a sense of how you have structured your student blogs, and how it’s worked for you. I have to say that while I probably won’t have individual student blogs for my students next year, I was incredibly heartened by one of my students from last year whose parents helped her set up a blog just after New Years. She enjoyed blogging so much they set up her blog which she posts to every couple of days with an image or photo and a sentence or two explaining why she’s posted the image. That a six year old is that enthusiastic makes me so happy! I think my focus for next year will be on encouraging my Grade 1s to collaboratively construct posts for our classroom blog. I look forward to reading about your blogging adventures with the Grade 4s next year, and how you do integrate it into the curriculum. I don’t blame you, I’m not sure I would have student blogs if I was teaching Prep or Grade One either! Having Grade Ones helping to make posts is a great idea! Your story about your six year old blogger is just delightful! That’s a fabulous teaching moment. I look forward to seeing what you get up to with blogging this year too! I like how you laid out the process. I’m at stage 2 with a classroom blog (after starting my own professional one). I appreciate the permission slip – it’s a step I need to do before overseeing student blogs. That said, a few of my students have started their own edublogs with the oversight of their parents. Parent oversight is a good way to overcome the permission slip problem. Fourth graders will come up with great stuff. My fifth graders have written about Justin Bieber, videotaped card tricks, and more. The part I’ve missed is teaching students how to make thoughtful comments. That will come, though. I have a pretty tight curriculum schedule – so I teach what I can when I have the time. Thanks so much for your comment. That’s great you have your parents helping with student blogs. I’d love to get my parents overseeing student blogging more this year. I think that would really allow me to expand the program further. Last year I wrote a post about quality commenting that might have some ideas for you. I know tight curriculum schedules can make this difficult! Loved reading your post. I am in my 3rd year of blogging with Kindergarten and I love it! Each child has their own kidblog which they get access to PRIOR to school so that they and their family can begin experiencing themselves the concept and blog about events, questions, etc. I have found this to be an awesome way to begin to build relationships with my students and their families. My summer reading blog focuses only on books they have read or are being read to. Then this incredible thing starts to happen…. connections are beginning to be made between the children about books they are reading and are familiar to others…. Then once Kindergarten begins, we begin to focus on how to post, things you need, purpose, etc. eery child has a blog that I set up. They don’t earn it, rather it is an opportunity to become a part of an awesome opportunity that will impact their learning in endless ways as well as begin to help them become safe, responsible digital citizens. Thank you so much for your comment. I was really interested to hear about your process for giving your students a blog before school starts. I’m sure it took a leap of faith at the start but it looks like you’ve got some fantastic outcomes from it. I especially like how the families are involved from the start. That’s so important. I don’t have any desire to tell other teachers that they should do things the way I am doing it, rather I encourage teachers to check out the different ways of doing things and find out what suits them and their students. You have offered another valuable perspective for teachers to check out. Thanks! Just wanted to thank you for all the helpful blog info. I began blogging with my second graders this year. Your websites have been very helpful. My students also loved Mrs. Yollis’ class video on writing a great comment! We started with Kidblog, and I spent lots of time on teaching quality commenting, but wish I spent even more time! Kidblog allows kids to go back and edit their comments. I like this because my students have a difficult time completing a comment in one setting. I know their comment is ready for me to moderate when they have typed the closing, and signed their name. But I soon realized that kidblog was more restrictive with how many images/video/pics I could upload. So, I decided to also do edublogger, but have my student blogs on Kidblog. I am slowly teaching students how to write their own posts, but I think next year I am going to do what you suggest and have them earn that right. I am still struggling with the new edublog commenting “problem”. My students take long to type and can’t finish in one sitting often. I am going to have them write their comments on paper first, to see if that helps with getting the typing done. I might even let them comment with a partner. Edublog doesn’t allow comments to be edited. I see such great value in blogging and look forward to continue growing and learning with my students. I have recently signed up for quadblogging too. Thanks for your comment. I’m so glad to hear your second graders are enjoying blogging. When I first started blogging I spent no time teaching quality commenting and earning a blog wasn’t even something I had thought about. We learn all the time, don’t we. And the great thing about teaching is we can change the way we do things every year! Typing can be a problem for young kids. This year I spent a lot of time on typing practice and the results were fantastic. In fact, I have on my ‘to do’ list to blog about this soon. Writing on paper might be a good solution for you. Sometimes I get kids who are faster at typing to scribe for the less confident typists if we are short on time. How great that you are QuadBlogging as well. It sounds like fantastic things are happening in your classroom. I really miss you a lot and I all so miss school a lot as well. I have just put a blog post up. Thanks for your comment and I’m glad you’re still blogging on the holidays. How is your mum going? It won’t be long til you’re back at school and in grade three! Stay cool in this warm weather! Thanks Kathleen, this has been a timely post for me as I prepare to take over my very first class (Yr 2) as a graduate teacher. I am planning to introduce a class blog to begin with and will most definitely be taking on board all your advice about teaching quality commenting, net safety and typing skills. I am wondering how you approached initially posing the idea to parents. I know I will need their permission but I also want to make sure they understand the process and the benefits for their child’s learning. I have been thinking of an intro VoiceThread or Prezi but would welcome your thoughts! Congratulations on taking on your very first class! It will be a steep learning curve but having your own class is so enjoyable! I start telling my parents about blogging on the last day of the previous school year. I send the child/parent a letter asking them to explore the blog over the holidays. I’ve also listed some other ways that I educate parents in this post. I hope you find it useful. Only a couple of weeks until I start my first year of teaching! I have subscribed and been reading Kelly and your blog’s for the past 18 months. Your work is quite inspiring and something I am very keen to try myself. Is it too big a job to take on in my first year? Is there any advice you could give me on where exactly to start? What should be the very first thing I should talk about or teach when introducing blogging? Congrats! I remember when you go that job. It seems like a while ago now but the time has nearly come. You must be excited….and nervous I’m sure! I think having a blog is a great idea. You might not want to start Day One but I think you should definitely give it a shot during first term. Maybe don’t put too much pressure on yourself and aim for one post a week or fortnight even. Consistency and persistence is key! I recommend you check out this post I wrote last year to get you started. I would start by looking at other blogs with your students so they get the hang of it and start talking about quality commenting. Set your standards high from the start. There is also an excellent series of posts about how to start blogging on the Langwitches Blog. You may have already seen it. Check it out here. Thanks for the post, I particularly like the progression diagram. I was wondering about the relationship between class blogging, individual student blogs and student portfolios such as those used in student-led parent-teacher conferences. 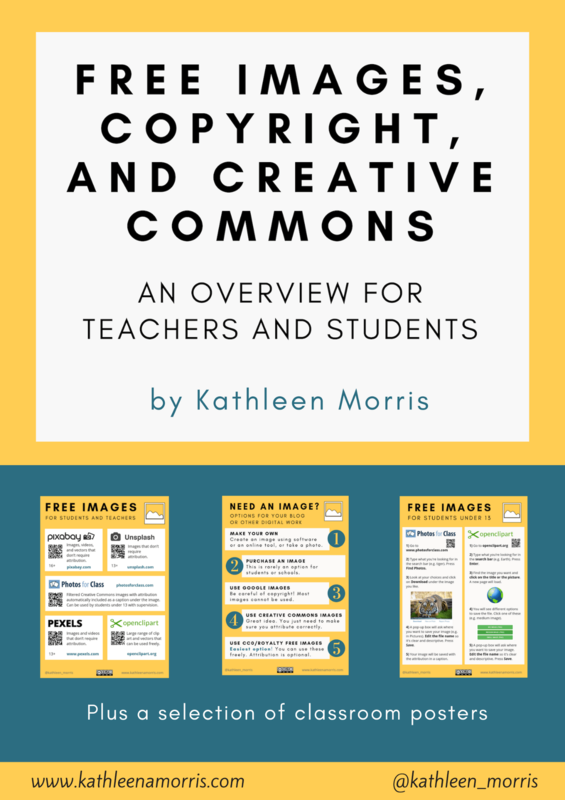 I know many teachers use class blogs to, among other things, display class work and units. I was wondering whether you also use student portfolios to collate samples of student work over the year or whether the class or individual student blogs have replaced this medium (if you ever used it)? Great questions but I’m sorry I’m not much help. We’ve never done three way interviews or student portfolios, however, I’d like to try it sometime. At this stage, our blogs are really for our kids to write about whatever they’re passionate about. I have heard of other teachers using blogs for a student portfolio and I think that’s a terrific way to use blogs! Hope the studies are going well. Your students have been very successful with blogging. When they leave your class, their blogging continues because they love it, they’re committed to it, and they have family support. While I’m focused on helping educators in my district start their classroom blogs, I haven’t spoken much to setting up student blogs. So I appreciate your sharing the process you go through. Some of the eager students in my district went ahead and set up their own blogs, which is exciting that they are so enthusiastic about it. At the same time, I’m a bit apprehensive because I don’t know who is keeping an extra set of eyes on them to help with safety, setting positive digital footprints, and encouragement. I realize that I need to do a better job at educating the classrooms in my district regarding student blogs. Sharing your post is part of that learning, and also thinking of how others do it too. I really appreciate your saying this is what works for you, and you encourage us to research how others do it, to make an informed decision about what would work best for us regarding establishing student blogs. I also should prepare the teachers to know how to address when young bloggers start their own blogs (very possibly without parents knowing), because it is happening. Have you encountered this? If so, do you have any recommendations? As always, I thank you for sharing your passion and knowledge with us! It is great to see students so eager but yes, it can be a worry. In 2010 Kelly and I had three students who went home and set up their own blogs. Two of those students set up the blog with their parents. I was uncomfortable with this because I felt like they didn’t respect our system for earning student blogs, however, as it was clearly instigated by the parents and child together, there wasn’t much I could do from a safety side of things. I looked at it as more of a home activity. The third child did set up her blog without parent permission and after talking to the parents about it, this was quickly deleted. It’s impressive that a grade two student could set up their own blog, but as you pointed out that extra set of eyes needs to come from somewhere. In 2011 we didn’t have this problem but I think possibly we made our system for earning blogs clearer to the students from Day One so they knew exactly how it worked. Your insight is very helpful. Since we are new to blogging, this is part of the learning curve. Now I know to clearly discuss earning student blogs as part of the mentoring process with my teachers when they are establishing their class blogs. Thanks so much for your help! Thank you so much for sharing your experience and ideas about blogging. You have helped me a huge amount as I trial and modify how I do blogging in my classroom. I’m seeking some help: I have tried today to set up student blogs through global2 and I am having a problem. I requested a new blog and then went to the dashboard to add users. I wanted to add the student bloggers as administrators. The problem is that I keep getting the message ‘sorry that email address is not allowed’ even when I’ve used their ultranet email addresses. Should I have followed a different process to set up blogs for the students or am I missing something? My students are busting to get started on their blogs so I’m hoping that I can sort this out quickly for them. That’s great you have some new student bloggers. Did you go to “blog and user creator” in your dashboard to make the new student blogs (I think that’s what it’s called… I’m on my phone). If so, Ultranet emails should work. You are amazing Kathleen! I did email global teacher but hadn’t heard any reply and guessed correctly that asking you would be more fruitful.I went back and CLOSELY read your post and there were the instructions. I had tried to do it via the global2 website rather than through the dashboard of my class blog. I would never have found this path without your instructions. Thank you again and have a good night’s sleep! Oh that’s great to hear! So glad you figured it out. Well if global teacher do reply be sure to tell them where you found your answer, hehe! I was wondering what user role you gave your students (ie. administrator, editor, author)? Am looking at setting up a blog that my Gr 6 ICT leaders will run for the school so I still want to be the administrator at the top. I don’t actually give the kids any user role on the class blog. I haven’t found the need to. If they’re writing a guest post I just log in for them. Great idea to get some ICT leaders going though. This Edublogs post explains all the different user roles. Once your kids earn their own blog, is it through your class blog or is it a link to their blog that you have on yours? After reading the Edublogs post, are the kids able to set their themes and add widgets as editor and author? I set up the class blog through my blog dashboard, however it is a separate blog with a unique URL etc. I just display the link to the student blogs on the sidebard of my class blog. I always make the kids the administrators of their own blogs. This is the only way they can edit themes/widgets etc. My students are just a subscriber to our class blog – that means they can access the dashboard of our class blog but can’t do anything. I can’t tell you how much I appreciate what a wonderful resource you have created! I am going to be looping with my class next year and I don’t want them to regress over the summer. So I thought blogging would be a good way to stay in touch and continue to work on our skills in a fun way. I am following your resource like a bible! Thank you so much for taking the time to share your insights and expertise. Thank you so much! I’m excited to hear that you will have the chance to keep working with your class next year. I’m assuming you’re in America? Those American summer holidays can be so long, I can imagine regression could be an issue. I hope your students enjoy blogging over the break to keep up their skills.